Of course, it’s also important that your roof looks fantastic too! When it comes to your home, appearances matter. And since your roof is also one of the first things visitors and neighbours will see when they look at your house, it needs to look great. And that brings us to the question of colour. What colour is best suited for your new metal roof? Metal roofing comes in a huge range of colours nowadays – gone are the days of standard silver sheet metal. If you want your home to look good, you don’t just need to think about your roof in isolation – you’ll also want to think about how well it fits with your surroundings. For example, at Watermaster Roofing, we do a lot of work in Melbourne’s Bayside area – that means houses across the coastal suburbs. We’ve found that lighter colours like silver and terracotta tend to look better in this type of setting, as it more closely matches the bright, warm vibe that comes with living so close to the shore. Did you know? According to Renew magazine, a black roof can reach as high as 80°C on a hot day. The reason goes back to basic physics: darker colours absorb heat. Fortunately, modern-day sarking and insulation are effective at stopping heat in your roof from migrating into your home. This minimises the effect that roof colour has on temperature. While this may have been an important consideration in the past, thankfully it isn’t one you’ll have to put too much thought into, but it’s worth keeping in mind! Let’s be clear: we’re not suggesting you bow to peer pressure and get a cookie-cutter roof just to fit in. It’s your house after all, and you’re free to do what you want with it. That said, certain colours work better with certain types of houses! For example, let’s say your home features lavish, dark red bricks. In these cases, a charcoal or grey tone pairs very nicely, as does a navy blue, classic cream, or even leafy green! Conversely, your home might be in the California Bungalow style, which is generally characterised by light-coloured timber exteriors. Here, you can complement your home with a lighter shade, OR go for contrast by choosing a darker one – your options are almost limitless! Okay, so this step only really applies if you live in an older home or suburb. Certain homes and suburbs are listed as heritage areas. As such, any renovations and restoration are required to be done in such a way that maintains the area’s traditional character. In practice, that means your roofing options are limited to a specific set of colours. Before starting any planning, be sure to check with your local council if your home has any such restrictions placed on it. 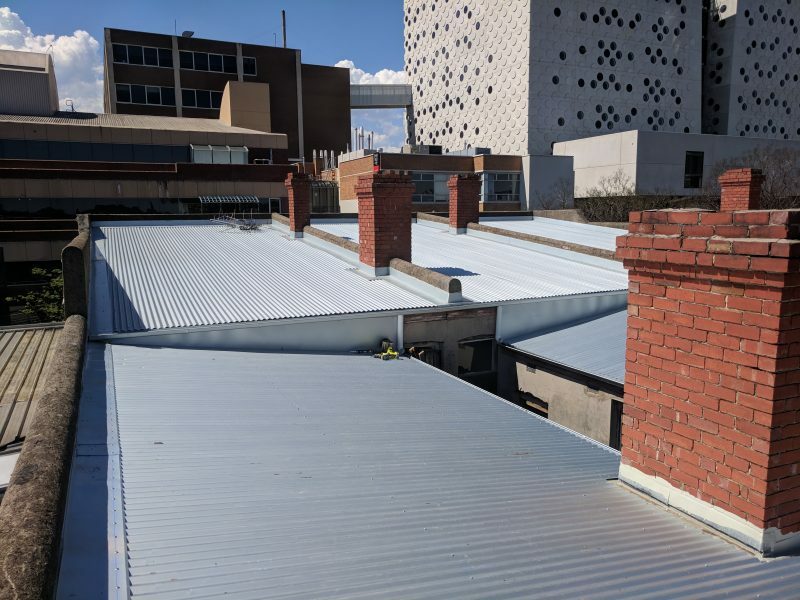 At Watermaster Roofing, we work exclusively with COLORBOND metal roofing. On top of those however, it also comes with a huge range of options for colours and finishes! With colours ranging from conservative, darker shades to earthy browns and greens, there’s a colour and shade suited to every home in Melbourne. COLORBOND also offer a variety of different finishes, ranging from shiny and glossy to cool matte coats. Talk to metal roofing experts! If you want a professional’s opinion on which colour is best-suited for your home, get in touch with Watermaster Roofing. Our roof installation team specialise in helping you choose the best roof for your home. That means choosing one that’s strong and good-looking. With 20 years’ experience, we’ve seen just about everything there is to see when it comes to metal roofing. 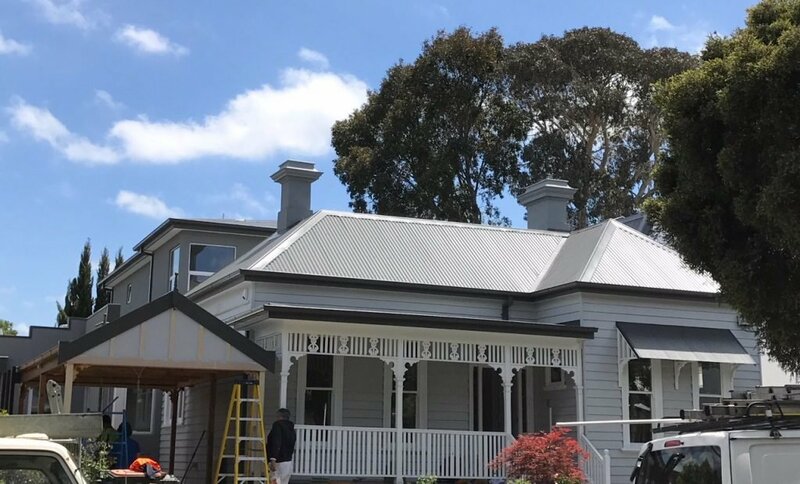 Our team have seen just about every possible combo, and can help you choose a stunning new metal roof for your home. Give us a call today on 1300 576 075, or click here to request a quote.